Filquip offers a range of Wastewater Screw Screens for solids-liquids separation for industrial applications and municipal waste water treatment. Our Screw Screen range includes channel mounted options, tank mounted options and open flange options. The GCP and GCE Waste Water Screw Screens are designed for the separation of solids present in the waste water and their compaction / dewatering before disposal. The separation process begins with the waste water entering the inside the screen which holds back solids only. The screen is continuously cleaned by brushes fixed on the outside diameter of the shaftless spiral screw conveyor. 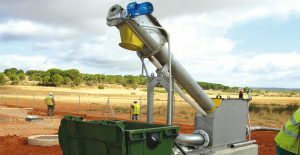 As the water runs through the screen the shaftless spiral screw conveyor moves the solids upward towards the compacting module where the material is further de-watered. Depending on the solids material properties, the screenings can be reduced by more than 35% of their original volume. Available in Stainless Steel 304 or Stainless Steel 316. Throughput Flow rates up to 1,000 m3/hr. No outlet end bearing, no intermediate hanger bearings. Solids extraction of up to 1.1 m3/hr. Shaftless sprial screw conveyor prevents jamming or locking up even with fibrous materials. 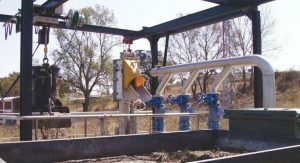 Optional Screen and Pipe Washing System. The GCE Model is the same as the GCP model except that it does not have a compacting zone, suitable for applications where materials do not need compaction (I.e Plastics). The GCPC and GCEC Waste Water Screw Screens are designed for the separation of solids present in the waste water and their compaction / dewatering before disposal. The self supporting tank allows for pumping the waste water directly into the unit without any civil works required. The separation process begins with the waste water entering the tank then flowing through the screen which holds back solids only. The screen is continuously cleaned by brushes fixed on the outside diameter of the shaftless spiral screw conveyor. As the water runs through the screen the shaftless spiral screw conveyor moves the solids upward towards the compacting module where the material is further de-watered. Depending on the solids material properties, the screenings can be reduced by more than 35% of their original volume. The structure is completely enclosed for safety and preventing odours. The GCEC Model is the same as the GCPC model except that it does not have a compacting zone, suitable for applications where materials do not need compaction (I.e Plastics). The GCV Waste Water Screw Screens are designed for the separation of solids present in the waste water and their compaction / dewatering before disposal. Their vertical orientation results in a minimised footprint for processed with little space available. 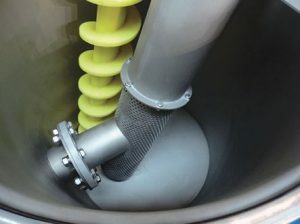 The separation process begins with the waste water entering through a flanged connection into the screen which holds back solids only. The screen is continuously cleaned by brushes fixed on the outside diameter of the shaftless spiral screw conveyor. As the water runs through the screen the shaftless spiral screw conveyor moves the solids upward towards the compacting module where the material is further de-watered. Depending on the solids material properties, the screenings can be reduced by up to 40% of their original volume. The structure is completely enclosed for safety and preventing odours. Available in Stainless Steel 304 or or Stainless Steel 316. Screens with 3, 6 or 10mm Mesh. Throughput Flow rates up to 340 m3/hr. Optional Base frame and collar clamp support. The CT and CTC Mini Waste Water Screw Screens are the Waste Water Screw Screens are the Lightest Screw Screens on the Market. 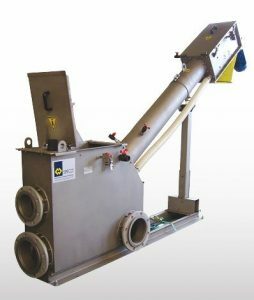 Designed for the separation of solids present in the waste water for small flow rates in pits. 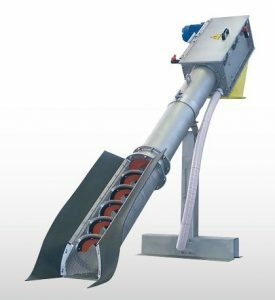 The Wastemaster CT consists of a tubular screen to capture the solids and a Polymer Auger to lift the solids off the screen and up to the disposal outlet. The steep angle of inclination allows installation in small pits or tanks. Lightweight Design at less than 30kg weight. Screens with 2 or 5mm Mesh. Auger Manufactured from SINT Engineered Polymer for Anti-Wear. Throughput Flow rates up to 36 m3/hr. Solids extraction of up to 0.4 m3/hr. Simple Installation – Single Inlet Flange.